What Do Top Fresno Attorneys Say About Arambula Trial? Will Devin Nunes Stop Talking to the Visalia Times-Delta, Too? Brand Keeps His Word. Now Have Your Say on New Police Chief. Brand to Human Traffickers: All of Fresno Is Coming After You! For communications professor Jason Jarvis and his wife, Jun, California just got more expensive. The Inglewood couple, who last year paid $16,000 in state and local taxes, were only able to deduct $10,000 of it from their federal taxes this year. The federal Tax Cuts and Jobs Act—signed last year by President Donald Trump and cheered by Republicans in Congress—cost the Jarvis family between $4,500 and $5,000 in deductions, raising their bill from the Internal Revenue Service even after a larger child tax credit for their 15-month-old son, Kellar. The financial hit came with political bruises for Jarvis, a 45-year-old Democrat who disliked how the Republican plan slashed taxes for corporations and people making a lot more than he does. While millions of California families saw their federal taxes fall this tax season, the Jarvis family is among an estimated 1 million households who are paying more—actually some $12 billion more, according to the Franchise Tax Board. That’s because the cap on state and local tax (SALT) deductions disproportionately impacted progressive states with high taxes by limiting the amount residents used to be able to deduct from their federal filings. Now, as the Golden State’s first Tax Day without the old SALT break approaches, that dear, departed deduction has been Topic A in California. 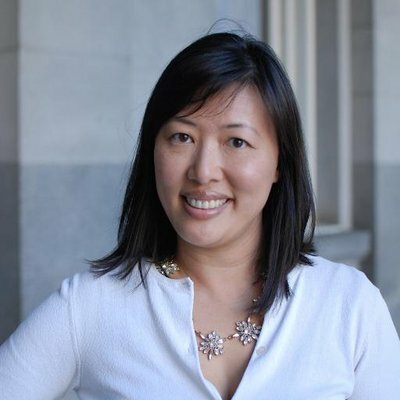 “As taxpayers are filing their returns this month, many of them are discovering the bite the federally imposed SALT cap is taking out of their wallet,” state Controller Betty Yee, a Democrat, noted. In fact, the topic recently and randomly popped up in the middle of a discussion on the state economy sponsored by the Sacramento Press Club featuring Yee, state Treasurer Fiona Ma and Lt. Gov. Eleni Kounalakis. “It’s just scandalous that the Trump administration did away with our SALT deduction,” Kounalakis declared to a round of hearty applause from the Capitol audience. California ranks 10th in overall taxation and has the highest personal income tax rate at 13.3% for millionaires. It used to be that affluent Californians could salve that wound by capitalizing on unlimited SALT deductions to lower their federal obligations. No more. Now—as the lieutenant governor noted at the Press Club conversation—that lost haven has not only set off statewide grousing, but also could give wealthier people an incentive to flee, threatening California’s finances since the state relies for half of its personal income taxes on people making $500,000 or more. “This is a real existential threat to our ability to ensure that our tax collection is going to result in what we need to fund our general fund,” said Kounalakis. Steve Levy, director and senior economist of the Center for Continuing Study of the California Economy, begs to differ: The overall federal personal income tax changes aren’t really that dramatic, and the households paying more in 2018 can afford to pay more, he said. This is true. California’s progressive tax structure means about 43,000 top-bracket residents earning more than $1 million a year will pay the lion’s share of the SALT cap by contributing $9 billion more to Uncle Sam, according to FTB. Levy said he and his wife paid more this year because they were hurt by the SALT cap. However, his son paid less as a result of the increased child tax credit and benefited from a 20% deduction on self-employed income. However, there’s a band of 619,000 taxpayers earning between $100,000 and $250,000 who are being particularly hurt by the loss of the full deduction, especially those who purchased in recent years during a strong real estate market. The median home price in California is $534,140 compared to $249,500 nationally, according to the National Association of Realtors. Currently, the SALT cap will expire at the end of 2025, meaning the loss of the full deduction is temporary. If political winds shift and there’s an effort to make it permanent, the professor says California may need to rethink its own tax structure. This upper middle group is relatively affluent, but California is a high-cost state. And members of the cohort not only pay a significant amount to the state through income taxes but contribute the most of any group on property taxes since they tend to be homeowners. According to the FTB, 5.9 million taxpayers reported itemized deductions on federal income taxes in 2015. Of them, 2.1 million made between $100,000 and $250,000. This group claimed $11 billion in real estate tax deductions, more than any other group. Shanske was among a group of legal experts supportive of a state workaround. Former Senate President Pro Tem Kevin de León proposed legislation last year that would have sidestepped the $10,000 limit by offering state tax credits in such a way that California taxpayers could then claim charitable deductions on their federal filings. The tax maneuver was nixed by former Gov. Jerry Brown as too complex at the same time the Internal Revenue Service proposed regulations banning such state workarounds. New York Gov. Andrew Cuomo has suggested that changes to the federal tax code are causing some high-income earners to flee that high-cost state. However, a new report from Moody’s this week says it hasn’t found the SALT cap is causing New Yorkers or Californians to flee just yet. “The impact of the SALT cap enacted in 2017 will be felt widely for the first time this tax season and possibly spur some out-migration, but jobs and demographic trends will continue to influence relocation patterns more than tax burdens,” Moody’s stated. Professor Shanske said one way to give this upper-middle group relief is to raise the SALT cap to $20,000. This would allow the federal government to continue reaping taxes from the very wealthy. The Jarvis family is typical of this band of people who feel middle class even if they don’t fit the description of middle class. Last year, the Pew Research Center pinpointed the middle of the middle class as $78,442 for a household of three. By comparison, Jarvis and his wife, Jun, a buyer for a tool importing company, made a combined $125,000 last year. They have an 800-square-foot home in Inglewood to be close to Jarvis’ work at Loyola Marymount University. Still, they are on a budget. Indeed, many families who purchased homes in recent years say they factored the tax deductions into their monthly finances. Darrel Lawrence, 43, and his wife rolled all the equity they gained on a two-bedroom starter home in Poway that they bought for $315,000 in 2011 into a $750,000 home four years later in an unincorporated part of San Diego County once their daughter arrived. Lawrence, a Democrat, said he places blame squarely on Republicans. Californians could be voting their pocketbooks on this issue. Polling data suggested the $10,000 SALT deduction along with the $750,000 cap on mortgage interest deduction factored into Republican losses when Democrats swept all seven U.S. House seats in Orange County. Then again, a state with 18.5 million personal income tax returns, each household has a different experience. Peter Antonell, a 64-year-old retired Cal Fire captain who lives in north Monterey County, said his partner made $30,000 more last year than in 2017 but their marginal tax rate fell to 24% from 28%, causing them to pay the same amount of taxes as last year. “In dollar terms, the federal taxes for 2018 were almost identical even though we made considerably more money,” Antonell said. The couple also made large charitable donations in the aftermath of the Camp Fire in Butte County so they were able to itemize deductions rather than take the $24,000 standard deduction for joint filers. Antonell said it wasn’t fair of congressional Republicans to target California for revenue by limiting the SALT deduction, but he also doesn’t like California’s high income and sales taxes. “The new law certainly accentuates that taxes in blue states are pretty high,” he said. As a Republican retiree who left his presidential vote blank in 2016, Antonell said he entertains the idea of moving to Carson Valley, Nevada, where there’s no state income tax. “If we end up determining that the tax burden at the state and local level becomes too burdensome, then we’ll leave,” he said. CALmatters.org is a nonprofit, nonpartisan media venture explaining California policies and politics. Are in-Law Units the Secret Solution to the State’s Housing Shortage? I am in escrow to buy a new home, but taxes this year crushed us. Last year we received about $500 back from the feds and state combined. This year we owe close to $5,000 to the feds and state, combined. It is making me, today, reconsider my home purchase and get out while I can. This will become a huge bust to the real estate market in California. Remember the morning paper? It’s kind of like that, but free. Sign up to have our curated pick of the Valley’s top stories delivered to your inbox every weekday morning. We’re looking for news you care about. Wake up to the wire. Start your day with GV Wire’s free newsletter, highlighting the top stories you don’t want to miss.